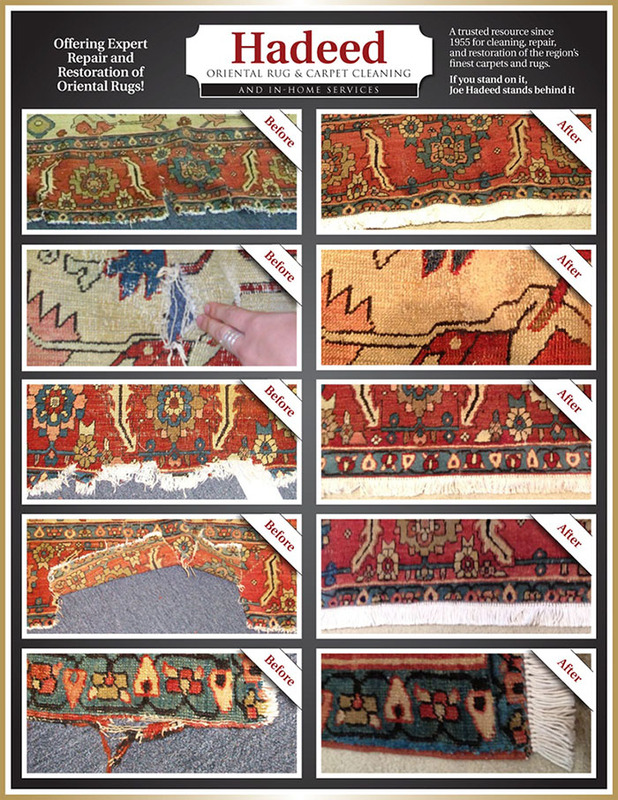 When you are evaluating rug companies for services, you must consider asking businesses the following essential questions for value-added rug cleaning and to ensure you're protecting your treasured heirlooms. Does the cleaning company offer FREE PICKUP & DELIVERY with rug cleaning service in their designated areas? Can I visit the cleaning company's facility and tour the wash plant? 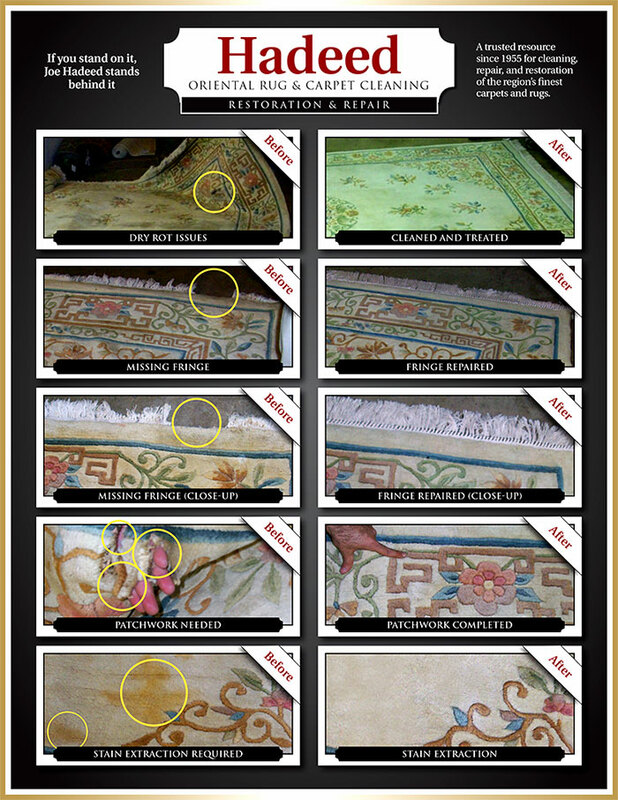 Are the cleaning company's technicians experienced at washing thousands of rugs per month? Does the cleaning company hand wash the customer's rugs in their own facility? Does the cleaning company have a Quality Control team that inspects my rug before it is washed and determines which process would be best? Does the cleaning company have a team of Quality Control Rug Experts who follow a rigid inspection report and contact each customer to review the rug evaluation? Does the cleaning company have an experienced restoration and repair department to address structural or cosmetic recommendations from the Inspection Report? Does the cleaning company provide a "one stop shop" menu of in-home cleaning services? Click here to Schedule a Cleaning or call 703-836-1111.